We receive many questions from South African expatriates abroad who regularly transfer money to South Africa, to support various costs or investments in South Africa. Some do this monthly and others effect larger transfers on a periodic basis. Whilst we are not a foreign exchange provider, one of our partners are well-known in financial planning circles, being a Certified Financial Planner® and he holds his own FSB License. The most expensive way to transfer foreign exchange is through a normal banking system. This especially applies where you use the same corresponding banks. You may think they give you the best deal, but the quickest way to get thoroughly ripped-off is not knowing how you are being ripped-off. Contact Donne@taxconsulting.co.za for details on who gives her clients currently the best forex service, including Reuters rate. Where you transfer money between currencies, there is a “true” exchange rate. This is the rate quoted on Reuters. So, when you want to know how much Rands should really arrive, you must know what is the Reuters or Bloomberg rate. For example, where the ZAR is 10 to the USD (we wish, I know, but for ease of computation purposes), for every USD1 you refer, you will receive ZAR10 in South Africa. The fact is that no bank gives you the “true” rate. They take a margin and this is called the “spread”. The bank never gives you the best rate. Their spread is often 3% to even 4.5%. Assuming a 4% spread, in our example, the USD1 then only gives you R9.60 in South Africa. Where you use a forex exchange company, they give you a better spread. Say you get a 1.5% spread, the USD1 then gives you a R9.85. This is achieved as they do bulk buying and selling of currencies, so their rate negotiation is simply much better than what any individual can achieve. 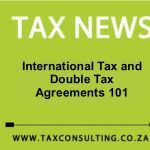 We do not want to make too public where you can for free get the closest to true exchange rates for free, but send confidential request to Donne@taxconsulting.co.za to share the link. The question is can these companies be trusted and why? We have seen clients using them for years and without fail the transactions are quicker and more secure. The reason is their arrangement is normally with the same bank, as only where you have different corresponding banks money sometimes get delayed over the ocean. As you will be dealing with a household name bank (different ones have different arrangements with different banks), we see this as no risk. Make also very sure you only deal with a registered FSB (registered with the South African Financial Services Board) meaning you have the normal full protection under South African law and full indemnity insurance. As we are involved with expatriate financial planning, especially tax, we know the significant difference this makes at the end of the day. Getting the cheapest foreign exchange rates are very important for our clients and where you have a provider who offers a secure and better deal, please send through details, as we can always do a quick comparison, so others can also benefit from their service. The key to a good provider is having transparency! Finally, you may have heard that bringing money into South Africa may have a tax consequence. This is not directly true. Being paid, remitting money into South Africa etc have no tax impact at all. Where does this rumor come from? Blame the Brits – they have a “remittance” basis of taxation for UK residents and domiciles, i.e. where you remit money into the United Kingdom, which you earned outside, this becomes taxable. There is no such South African tax rule and this has never been part of our law. 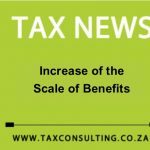 Please contact donne@taxconsulting.co.za for more information or should you need a review of your personal tax position by international tax experts.